When you are in an accident or have a life-threatening emergency, your local Emergency Medical Services (EMS) network dispatches first responders. 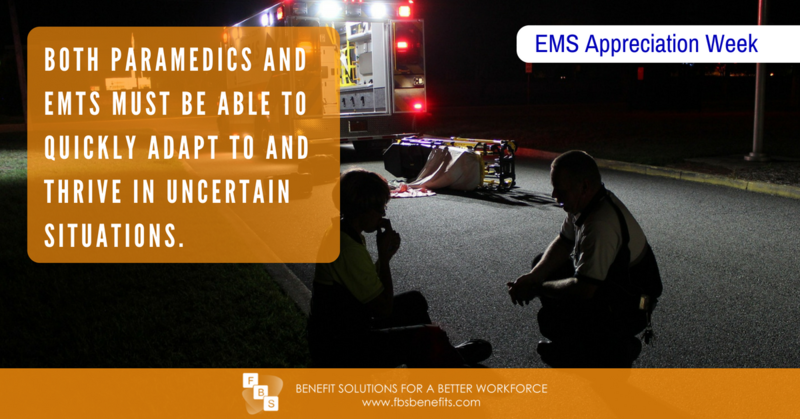 The EMS is made up of paramedics and EMTs (Emergency Medical Technicians) who play a crucial role in the emergency medical care system, often providing the critical link between life and death. Both municipal and private EMS agencies work closely with other emergency response agencies – including police, fire, and 9-1-1 communications – to provide rapid medical care and safe transportation to those who are ill or injured. 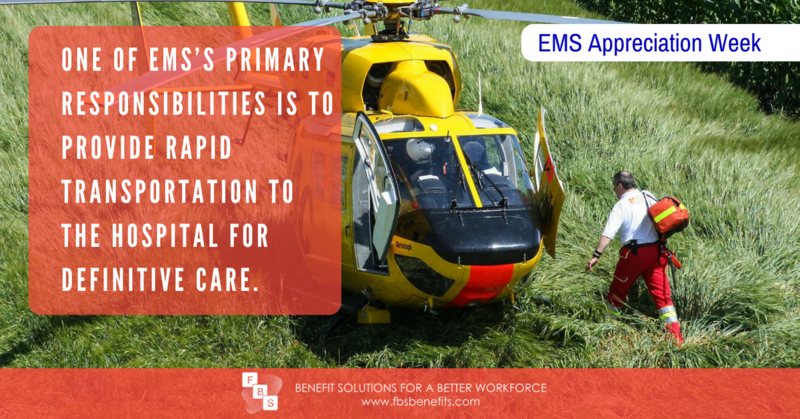 EMS workers also play a major role in the response to natural and man-made disasters. From car accidents and house-fires to earthquakes and hurricanes, if you are in need of aid you will likely find yourself being cared for by one of these highly-trained professionals. There have been various documented forms of EMS going back as far as the 1790s in Napoleon’s army. The first known hospital based ambulance service was in Cincinnati Ohio in 1865 and the idea began to spread to major cities from there. However, the present-day EMS network started in the early 1960s when experiments in Ireland and Canada noticed the benefits of providing advanced medical care to cardiac patients in the field with the advancement of CPR and defibrillation. Studies at the time revealed that a soldier seriously wounded on the battlefield in Vietnam had a higher survival rate than someone injured in a major car accident in California. The first EMTs were recruited from medical interns and ambulance drivers from local hospitals. 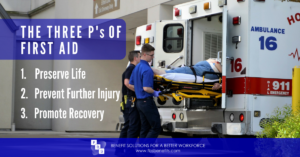 For medical conditions, Emergency Medical Technicians (EMT) and paramedics can provide most of the initial and subsequent treatments that an emergency department would after the patient’s condition has been assessed. That process begins with the 911 call where the dispatcher gathers as much information as possible such as location, age, name, and symptoms. They then relay that to the EMTs and paramedics in route so they can be as prepared as possible when they arrive. 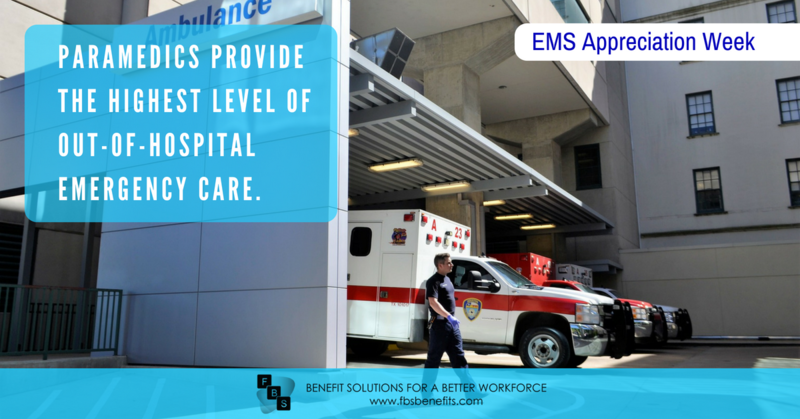 When onsite, EMS’s primary responsibility is to immediately perform interventions that correct life-threatening conditions, provide first aid, and provide rapid transportation to the hospital for definitive care. EMTs provide a basic level of hospital healthcare performing tasks such as taking vital signs, performing CPR, administering oxygen and more. Paramedics provide the highest level of out-of-hospital emergency care by performing intravenous infusions, and tasks like EKG monitoring, cardiac defibrillation, advanced trauma care, management of critical medical emergencies and more. Both paramedics and EMTs must be able to quickly adapt to and thrive in uncertain situations, therefore, critical thinking, the ability to thrive under pressure, and a willingness to put others first are key, but our paramedics and EMTs do even more than that. In order to hone their skills EMTs must find time to participate in ongoing training with the latest medical information and state-of-the-art equipment. Being on the front lines of the Emergency Medical System is not an easy job. These workers are often put at risk to help others, work far more than the standard 40 hours a week, and the average pay is only about $33,500 per year. Many times we do not have the opportunity to thank these heroes, but if you do, take a moment to thank them for dedicating themselves to the tenants of EMS: Preserve Life, Prevent Further Injury, and Promote Recovery. If your company is looking for benefit education, financial literacy, or help navigating ACA regulations, call a benefits consultant today.